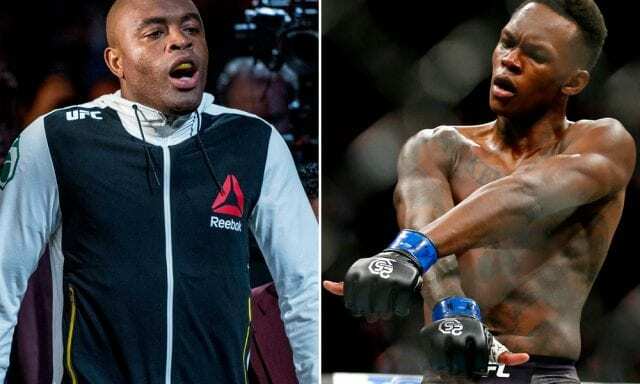 Welterweight contender Stephen Thompson thinks Anderson Silva is in for a rough night at UFC 234 in Melbourne, Victoria, Australia. 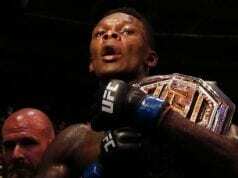 Surging contender Israel Adesanya is a massive favorite over the former middleweight champion. Thompson believes “The Last Stylebender” will easily cash in as a more than seven-to-one favorite over Silva. For Thompson, it’s not a disrespect thing. After all, “Wonderboy” has spent time training with Blackhouse MMA when it was in California. But in Adesanya, “The Spider” will face almost a younger version of himself and perhaps a more naturally-gifted athlete at that. “I spent some time with Anderson Silva and Lyoto Machida when they were training at Blackhouse in California,” Thompson said. “This was before I was in the UFC. I was looking for management and my brother-in-law Carlos Machado knew the guys over there at Blackhouse, so I spent a few weeks up there training with Anderson, which was a dream come true for me. “Me coming from a karate and kickboxing background, Anderson Silva was like my idol, and so was Machida, especially with his karate background. And from sparring with him and seeing him then, and to see him his last few fights with (Michael) Bisping and I forgot who else it was, it’s just, there is a difference. There is a big difference. “The Spider” is not the only one that Thompson believes is in for a rough night, however. “Wonderboy” thinks Kelvin Gastelum, although capable, just won’t have what it takes to overcome Robert Whittaker and the partisan crowd. “Man, that’s going to be a great fight. I’m so looking forward to it,” Thompson said. “Robert Whittaker is definitely a different fighter from when I fought him last. His takedown defense is ridiculous — ridiculous — and his cardio is out there. Like, the guy does not get tired. But Kelvin Gastelum is the exact same. He’s got very good hands, Gastelum does, he’s got great wrestling. But I think Robert Whittaker is going to come out with the win. He’s got a longer reach. 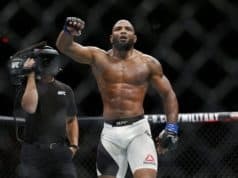 I think his movement and striking, his combinations are put together well, better than Kelvin Gastelum’s, and if Kelvin Gastelum gets overwhelmed with the striking, he’s not going to be able to taken Whittaker down, I don’t think.